When it comes to finding hotels in Playa Del Carmen, you are often overwhelmed with choice. There are many amazing hotels to choose from, so how do you decide!? 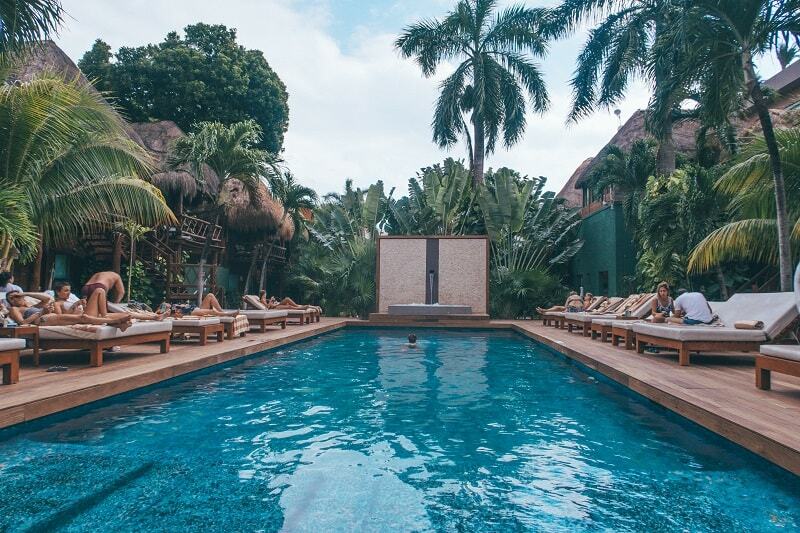 Fear not, we had a fantastic stay at the finest boutique hotel in Playa Del Carmen, known as the “Magic Blue Boutique Hotel”, and it truly is magical…. Why Visit Playa Del Carmen? 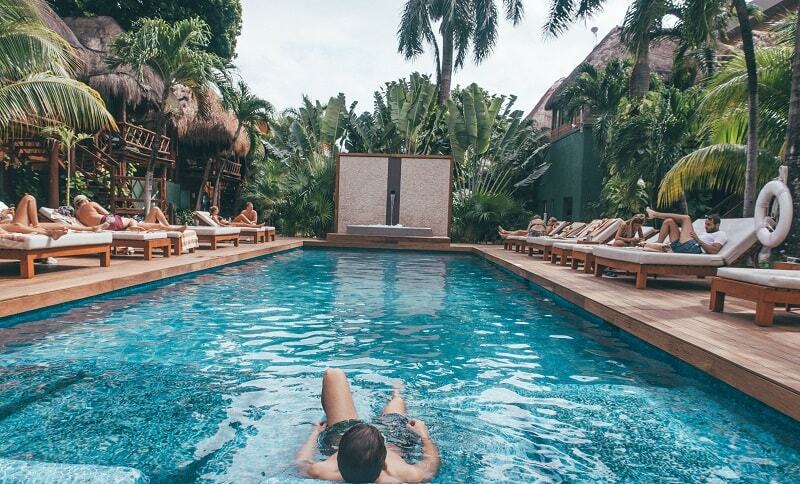 Playa Del Carmen is the perfect place to head for a holiday. Whether you’ve got a week, 10 days or 2 wonderful weeks to spare, I think Playa Del Carmen is the perfect spot. 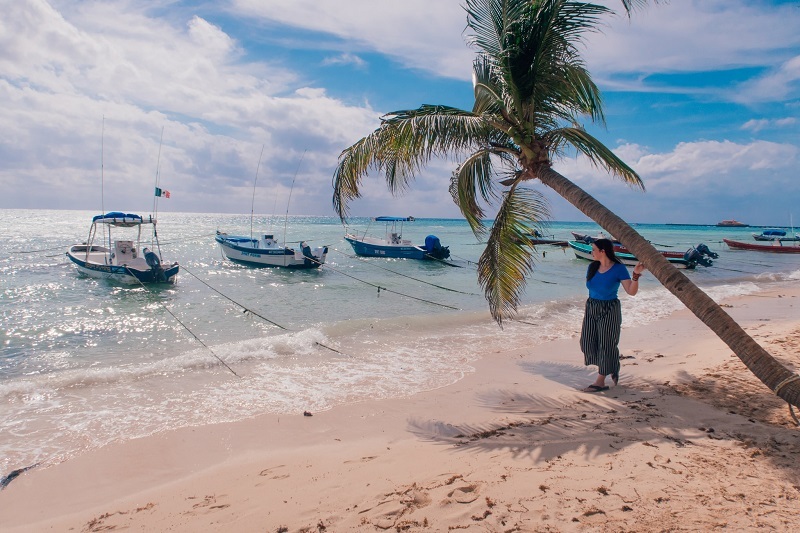 There are so many beautiful beaches in Playa del Carmen, as well as brilliant cenotes to discover, fantastic nightlife (Coco Bongo, I’m looking at you! ), and amazing restaurants, beach clubs, water sports and so much more. Playa del carmen is perfect for families and couples looking for a romantic getaway. When is the best time to visit Playa Del Carmen? Bradley and I visited in January and the weather was perfect. Warm with a breeze, and personally I need a breeze so that suited me well. The high seasons in Playa del Carmen occur in the "winter" months from December through April and again during the summer holidays in July and August. The peak seasons in Playa del Carmen are Christmas and the famous Spring Break which is the week before and after Easter. How to get to Playa Del Carmen? When visiting Playa Del Carmen, you will most likely being flying into Cancun airport. Playa del Carmen is only around an hour away, (traffic dependent). You can get the ADO bus from the airport to Playa Del Carmen (Magic Blue Boutique hotel is located just a 10-15 minute walk from the bus station) for around £8, or you can arrange a taxi or pickup service. The Magic Blue Boutique hotel also arranges airport transfers, so you can contact them before your stay to organise an easy pickup! This is less hassle when you leave the airport. You can just look for your name, hop in your transport and be on your way to paradise. Brad and I stayed in the beautiful Magic Blue Boutique Hotel in January for 2 brilliant nights. The hotel is located just off of the famous 5th avenue and across the road from the popular “Coco Bongo”. Actually, when you stay with the Magic Blue Boutique Hotel, you can get 30% off your entrance ticket to Coco Bongo, which is a great deal! (As of Jan 2019). The property is minutes away from the beach, and truly a fantastic location. 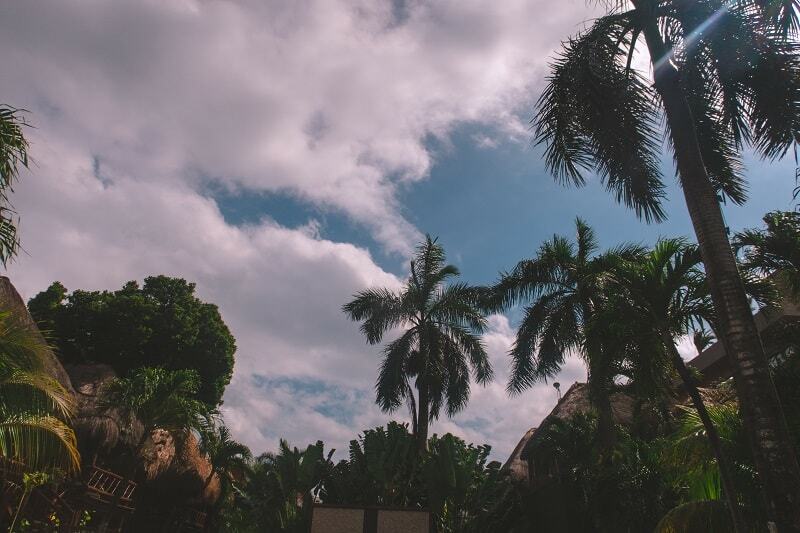 You’re in the heart of the action, but once you step through the doors of the Magic Blue Boutique Hotel, you’ll feel like you’ve entered the Mexican Jungle. It’s hard to imagine that such as oasis of a property is possible in this area, but it truly is. The moment we stepped through the door, we knew the staff of this hotel were going to be amazing. We were greeted at check-in with a smile (which after a long day of travelling is always appreciated), and we were offered a glass of sparkling wine. They even had small bites of food on offer too. This is the standard service at the Magic Blue Boutique Hotel. You’re greeted with a welcome drink whilst you are checking in, and it’s a true indication of the amazing service that is in store for you during your stay. After the usual formalities of passports and signatures, we were given some information on breakfast timings, WiFi and what beach clubs the hotel had relationships with. This results in brilliant discounts in some of the best. The rooms in the Magic Blue Boutique hotel are sparkling clean, beautifully designed and you can see the care put into them. There are 44 rooms and two additional suites. 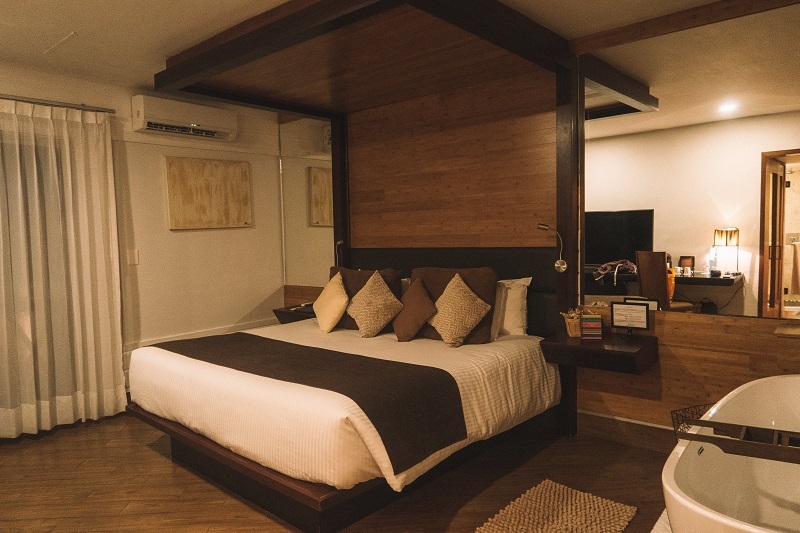 The standard rooms include two double beds, or a king size bed, bathroom and all your usual amenities you would expect. Bradley and I stayed in the suite, which was actually not what we were expecting, so was a brilliant surprise when we entered the room. The suite we stayed in had 2 balcony areas. 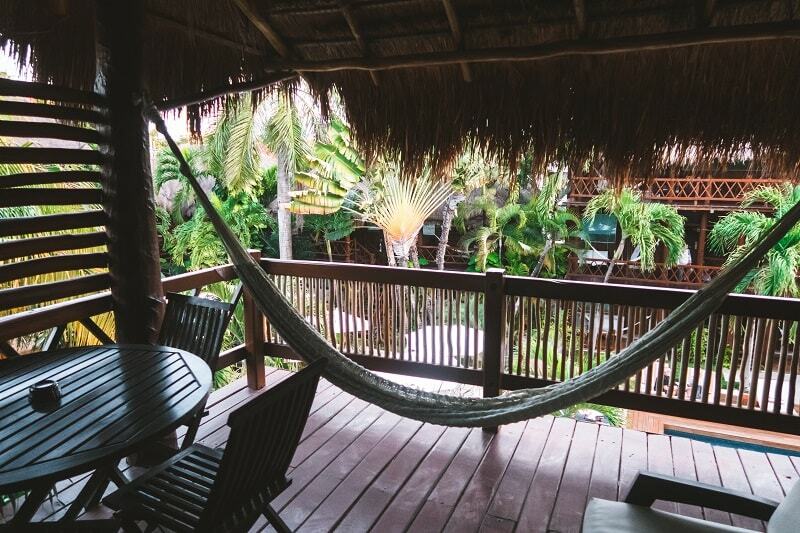 One had a hammock, table and chairs on a private deck with a stunning view of the pool and the jungle surroundings. The room is very large and spacious, and nothing feels “cramped” together which is lovely. There is a large king size bed, beautifully designed, a large shower area, wardrobe, beautiful sink, toilet, fabulous toiletries, bathrobes (a lovely touch!) and the world's best bath! Honestly the bath is the highlight of the room and it’s truly worth it. The TV in the room is the biggest I’ve ever witnessed in a hotel room, even bigger than in the Radisson Hotel we stayed at in Agra. You could relax in the bath with bubbles, a book, or watching TV on the big screen. If you wish, you could even order a cocktail to enjoy via the room service. Room service is available via Whatsapp which is super convenient. The suite also has a mini bar and Nespresso machine, both in which extra charges apply. Actually, the mini bar prices were excellently priced and you had a wide range of beverages from champagne, tequila, beer, soft drinks and vodka. Towels are also provided and there is a “pillow” menu with a selection of pillows based on what you prefer which helps you achieve the best night's sleep. Plus there are blackout curtains which also help. If you are concerned about noise from Coco Bongo, (which I wouldn’t be) then the hotel does provide ear plugs in the room, or you could request a room furthest to the back. But, 100% honestly, we didn’t have any issues with noise during our stay. Plus, if you are going to Coco Bongo, at least you’ve got a short walk home! One of the real highlights a stay at the Magic Blue Boutique Hotel is the AMAZING swimming pool and hot tub on offer. 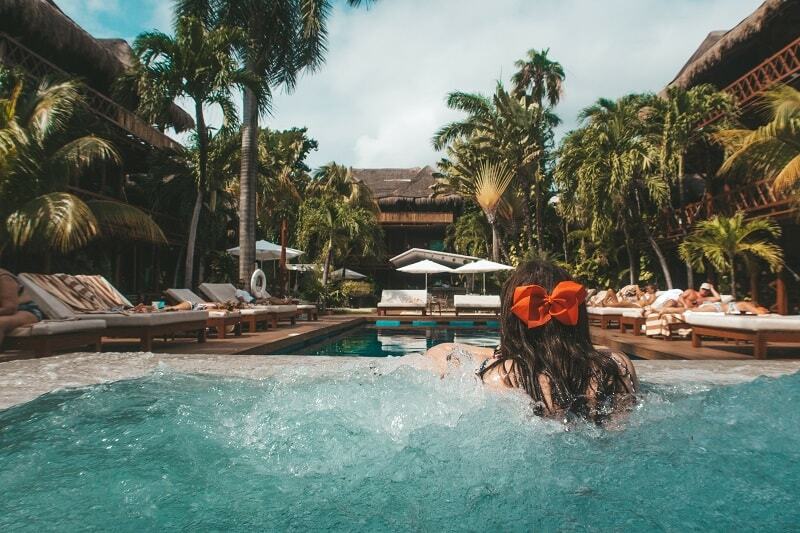 The hot tub actually has hot water, which trust me, is a rare occurrence in some luxury boutique hotels, so it’s that attention to detail that really makes this property stand out. The swimming pool is large enough to swim lengths and there are even in-water sunbeds if you want to simply relax in the water. If you want to relax outside the pool, then there are plenty of sunbeds dotted around the pool area. These include “double” sunbeds, which are perfect for couples, like Brad and I! There is a bar located next to the pool which provides food and drinks throughout the day. They have a brilliant happy hour from 5pm to 7pm in which 2 cocktails cost a total of 95 pesos. This works out around £2 per drink and they are fantastic cocktails. The offer is on daiquiris, pina coladas and margaritas. I tried all 3 and the daiquiri was my favourite! Anything you purchase at the bar is charged to your room and you just pay on checkout which is super convenient. The hotel also has a Brazilian restaurant next door called “Ipanema’s Grill Brazilian Restaurant”, and if you dine there you get a discount. Whilst Bradley and I didn’t dine here, I have read excellent reports on Tripadvisor. It’s a buffet style meal where they bring the meats to you to be carved at your table. Breakfast at the Magic Blue Boutique Hotel is one of the best I’ve ever experienced. Breakfast is operated on behalf at the hotel by the restaurant next door and it’s served in buffet style. 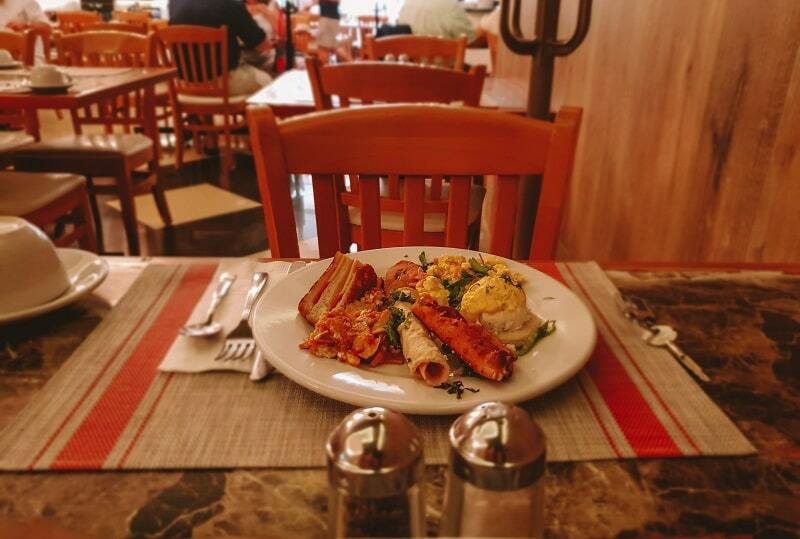 When you think of “buffet breakfast”, you often think of bulk, flavourless food, but not here. The room and space is bright, the staff bubbly and attentive. There is absolutely everything on offer here. Every type of breakfast food you can imagine. 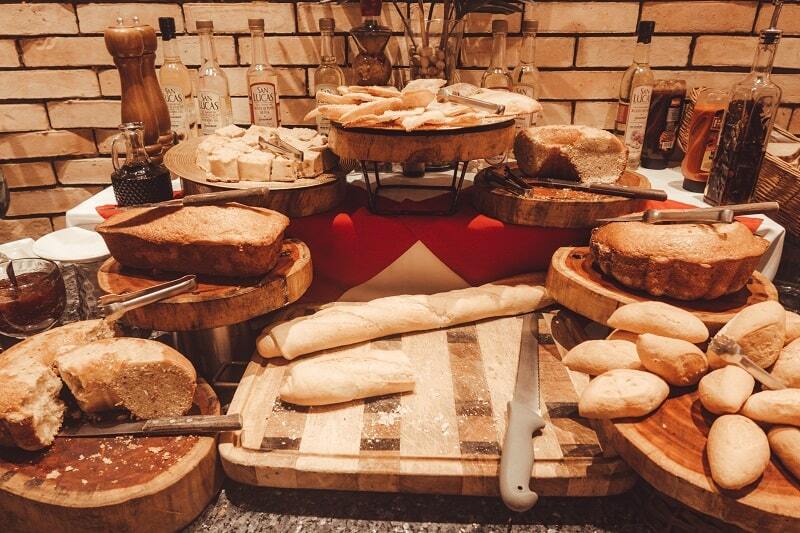 A selection of breads, waffles, bakery items, different types of eggs, empanadas, sandwiches, fruit, granola, yogurt, Mexican cuisine, and there is a even a quesadilla and omelette station. It’s truly a wonderful affair! As you eat, the waiters come around and offer you fresh coffee and they aren’t afraid to keep it topped up! It was a fantastic way to start your day and the staff are fantastic. Breakfast is included as part of your stay. The staff at the Magic Blue Boutique hotel are amazing. Everyone says hello, and absolutely everyone I interacted with was welcoming and charming. I can’t say this enough- they are truly super friendly and a true credit to the boutique hotel. They make you feel welcome and wanted, rather than just another customer. I also think it's important to note, that the staff didn't know we were there to review the property, so their kindness and attentiveness was just a normal daily thing, which proves how amazing they are! A stay at the Magic Blue Boutique hotel in Playa Del Carmen combines the charm of a boutique hotel with the luxury and detail of a 5 star resort. You feel like you’re truly welcome. 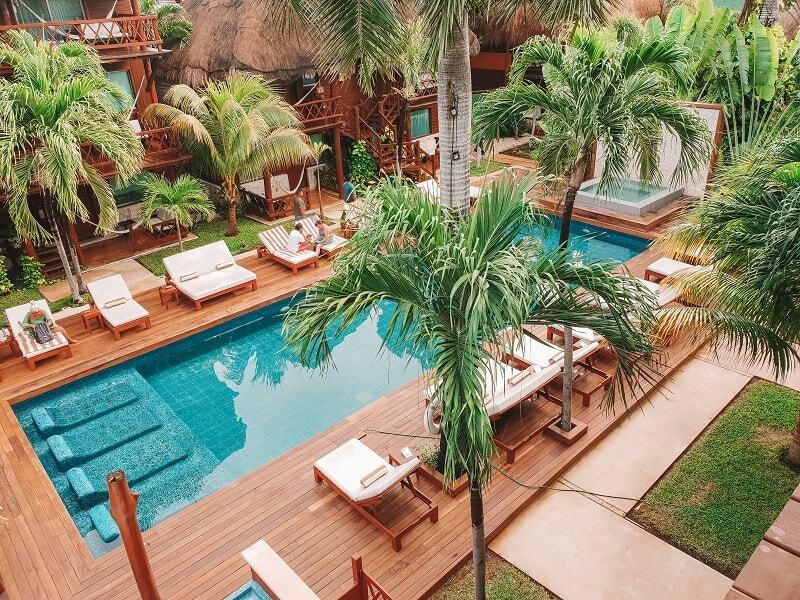 I think this is a perfect honeymoon hotel. There is nothing the staff won’t do to make your experience memorable. 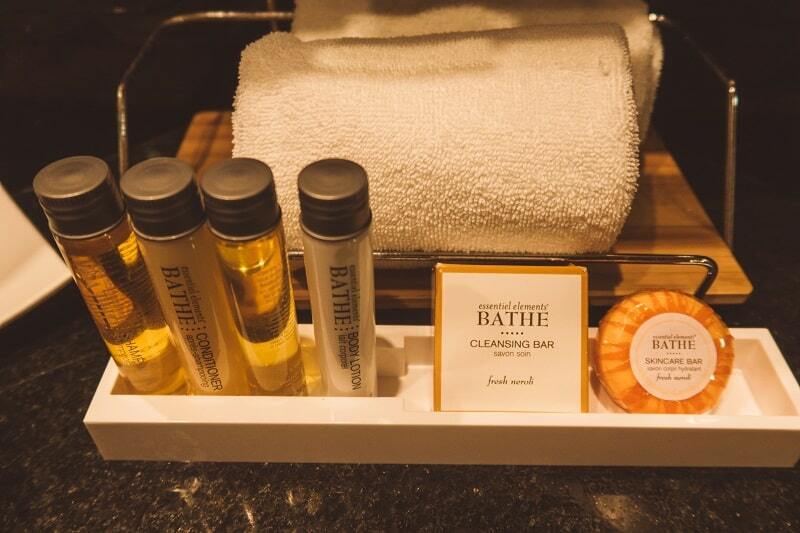 Even if it’s not your honeymoon, it’s still a perfect stay for couples. 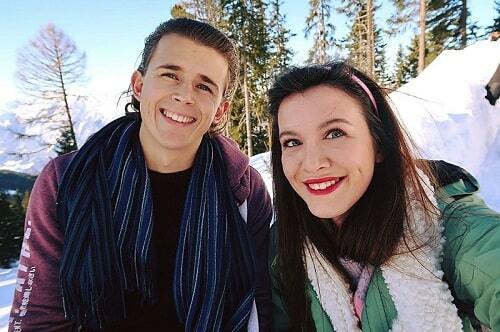 Everything feels like it’s been made for two and it’s in a very romantic setting. You feel like you’ve been transported to a jungle oasis. We always use booking.com for our hotel stays, so that’s the website we will recommend for the best prices and the best choice. 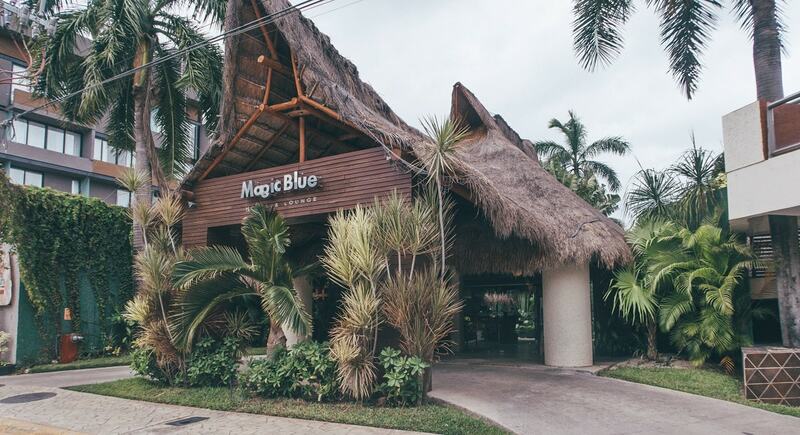 You can book your stay at the Magic Blue Boutique Hotel in Playa Del Carmen here. If you are visiting for your honeymoon or want a special package, then you can book direct with the hotel for offers if you prefer! Looking for great tours in Playa Del Carmen?